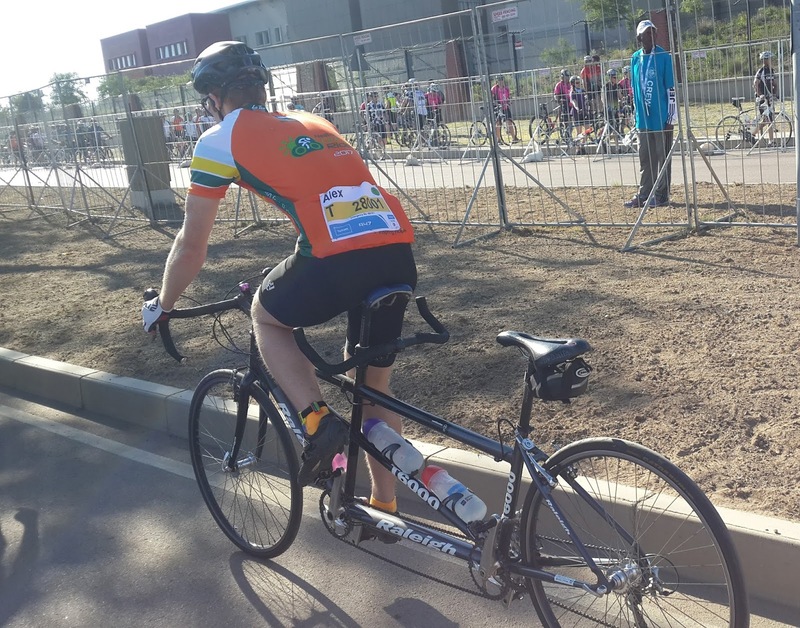 Telkom sponsors the 94.7 Cycle Challenge in Johannesburg. Telkom also owns FastNet - a local public LoRaWAN network provider. The cycle race is a great tour of Jo'burg. It makes for an interesting FastNet coverage test. The Oyster LoRaWAN happens to fit in a cycling jersey pocket quite conveniently. The Oyster LoRaWAN product page is here. TG showing all the points logged for the day. This means there's FastNet LoRaWAN coverage at each of these points. This is a screenshot from Telematics Guru, showing all the points that were logged for the day. It includes the drive from home to the start. The outer path is the race. The coverage is decent. There are a few stretches where no messages were received, showing some coverage gaps. send it to the network. There is no confirmation of receipt for GPS messages, because downlinks and confirmed uplinks are generally much more expensive than uplinks. The GPS points give a good indication of coverage in the city, because there is no buffering of positions and sending them later. It's important to stress, this is not a real world use case. Working your Oyster this hard would result in flat batteries in a month or two. It's also on the limit of the regulatory duty cycle restrictions - you can only be on air for 1% of the time. And this would violate some networks fair usage policies. These devices are designed to intelligently use the GPS as little as possible, to maximise the battery life. You should get 5 years with one position and transmit per day. Here, I've got it set to fix and send every 2 min. Not a practical usecase! The spreading factor on this device was set to 10-12. So it would use SF 10, 11, 12, and the LoRaWAN stack tries to spend an equal amount of air time (transmit time) on each data rate. The FastNet to Telematic Guru integration is also a hack. The FastNet API is pull only, which means it needs to be polled a lot. I wrote a simple app to do the polling and when a new message is received, push it into TG. That is not a proper integration. We're still hoping to get a push API from FastNet before we complete the integration. We do have full The Things Network integration, and we should have Actility integrated too soon. Actility is exciting because it is the LoRaWAN network server behind many public networks around the world - Comcast in the USA; and Comsol locally.